There are ancient sects whose followers believe in the sacred and immutable power of the earth. Those who commit themselves to one of these sects and adhere to this faith are called Druids. The Druids stand as the defenders and nurturers of the land, specifically forests, mountains and animal life but all of nature in general as well. None know how but in the commitment to this faith dedicated to preserving Aeres, the Druids are granted mystical and potent abilities similar to those of Priests. Moreover, they receive guidance in the form of a spirit guide that is the semi-corporeal representative of the planets’ will. Those who choose this path must be Neutral Lawful in alignment as the Druids believe in the natural order of things, and the truths that Aeres reveals to her children. Corruption of the natural order or rampant chaos is intrinsically harmful and therefore represents the antithesis of the work that the Druids are trying to accomplish. There are several orders of Druids across the land but the unifying thread of these orders is their commitment to the preservation of Aeres. The primary ability of this class is Wisdom, with Constitution as secondary. Int: 10 Guidance: The Druid is taught the languages of the forest (Elven, centaur, dryad, etc.) and may choose one at 1st level and 1 every 2 levels hereafter. At 3rd level, a Druid receives a vision in which a spirit guide comes to him. This guide is visible only to the Druid (those with Magik Sense see it as a vague outline) and it appears as a white or light grey individual of the species it represents. See Spirit Guide Table below. 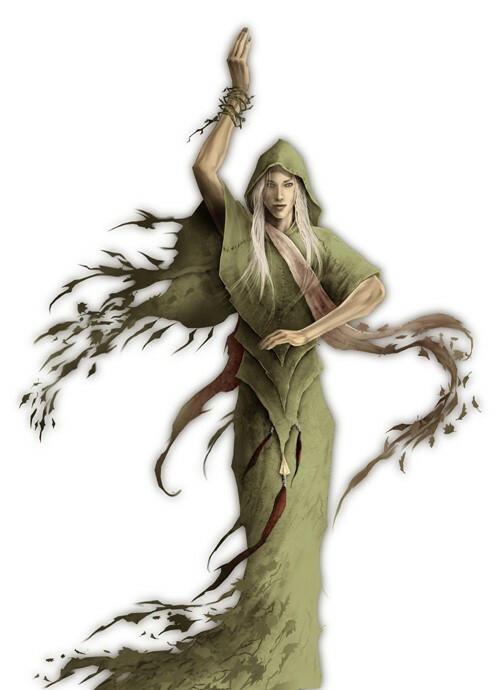 Int: 11 Discernment: The Druid gains resistance from the charms of beings associated with woodlands, i.e. dryads, nixies, sylphs. This ability is a base 20% with 5% per level starting at 5th level and increasing to a maximum of 90%. Furthermore, the Druid will always recognize a Warlock’s familiar for what it truly is no matter what form the familiar may take. Con: 13 Metamorphosis: The Druid is granted the ability to change form three times a day, actually becoming in all respects save the mind, a reptile, bird or mammal. Each type of creature may only be assumed once per day. The size of the creature can vary from as small as a bullfrog to as large as a black bear. Each time a Druid changes form he is cured 10-60% of any damage he has sustained prior to changing. Int: 12 Consecration: At this point the Druid makes his way to a Sacred Henge and performs a ritual which will tie his spirit to that location. At this time, the Druid ceases to age normally. His lifespan is extended and ages at a rate of 20:1. That is, for every 20 years that pass he ages just one year. If a Druid’s Sacred Henge is ever destroyed, he looses all benefits of this extended age, which often results in the death of the Druid. — The Druid can pass through overgrown areas without leaving a discernable trace while traveling at normal movement rate. The Druid also gains a +2 to all saving throws vs. lightning and fire. — The Druid receives Animal Lore, Plant Lore, and Herb Lore as bonus proficiencies. The Druid has learned the intricacies of nature and the wisdom of the earth. When a Druid reaches the 3rd Circle of training, the planet sends her a sentient guide by which the will of Aeres is made known to her and to help her on her journey. The Druid and the Spirit Guide bond in a spiritual fashion allowing the Druid to access certain abilities associated with that Guide. 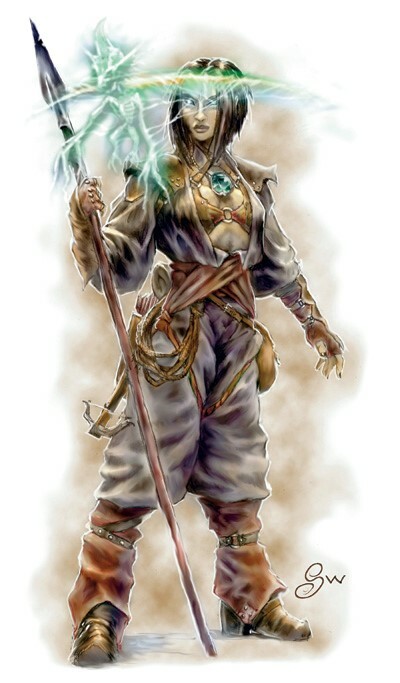 The Guide provides the Druid with a direct link to the Spiritual Essence of the planet and in this role it allows the Druid to Commune, just as the 5th level Priest Talisman, once per month. The Spirit Guide is visible only to the Druid although characters with Magik Sense skill will be able to detect it as a vague outline or aura. The spirit appears as a white or light-gray individual of the species it represents with eyes that glow a deep amber color. Being a spirit it occupies no physical space in the material world and is only harmed by magik. Being incorporeal beings this magik must be directed and able to affect such beings. All Spirit Guides are 2HD, AC7 with an Intelligence of 18. If the Guide is destroyed the Druid loses 1D6 HP, 1 point of Constitution, and 1 Life Point permanently. They must wait one year before attempting the ceremony to gain another Guide. The Table below reviews the benefits and restrictions associated with the Guide to which the Druid becomes aligned. Once bonded to her Guide the Druid is assured of a friendly or at least neutral reaction from all encountered animals of the Guide’s species. When the character reaches the level of Ovate (5th), they gain the ability to speak freely to animals of that species as well. Most importantly the Druid may never kill, injure, or allow to be killed or injured an animal of the Guide’s species, even in self-defense. The Weapons and Armour columns list the items that are restricted from the Druid (ex. Fox guide restricts the Druid to no armour). The Sacred Places column lists the areas that are special to the Druid now and she must return to commune there at a minimum of once every thirty days or lose the benefits of her Guide. Furthermore, she must commune in a Sacred Place at the six critical times, spring and autumnal equinoxes of the two moons, and the summer and winter solstices or else lose her Druidic powers. Later, when the Druid establishes her Henge, it must be in a place sacred to her Guide. Also, the Druid will now follow the diet specific to her Guide as listed in the column marked diet. Finally, when the Druid attains 9th level she may, regardless of the standard restrictions, always assume the form of her Guide. All the appropriate benefits are gained just as the standard ability. The Orders of Druids are secretive and selective about those allowed to study their ways. As such, many who follow the old path take their children to the Henge of a local Druid only to be turned away. There are always those though who show a great affinity to the planet and when a Druid spots this, then he takes on an Aspirant. Normally a Druid will take on no more than three Aspirants at one time. The Aspirant takes vows against the accumulation of wealth and property keeping only enough on which to live. The Aspirant also vows to never harm an animal except in self-defense or food, and never tampers with a stone circle, standing stone, or barrow and must prevent others from doing so whenever possible. The character must have a minimum of 12 Wisdom, 12 Constitution, and 10 Intelligence. Until the level of Ovate, the Druid will return to their teacher to learn the ways of the faith. Once an Ovate, she must strike out on her own and will then be instructed from that point by her Spirit Guide. The local Order of Druids is likely to direct them or require trials or prepare to take over an existing Henge. 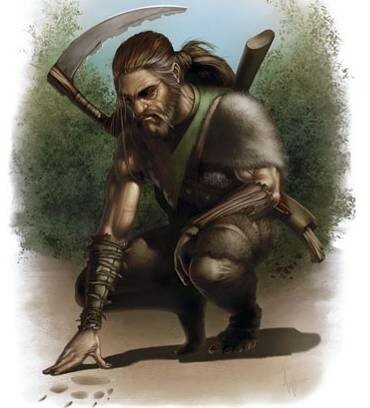 The way of the Druids is often obscure and that is why there are times when a Druid may take the side of those normally considered Evil and so they walk a careful line between keeping peace with the locals and standing in their way if they should desire to exploit the wilds too much. 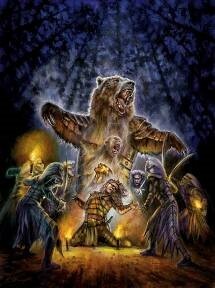 Druids do not cast spells as Mages do, nor is the power they wield the same in its intrinsic nature. Therefore, these manifestations of faith are not called spells, but rather they are referred to as Talismans.